It’s true, and I still can’t believe it sometimes! Dan and I are having a baby, and it’s really happening this time. It’s for real and our lives are about to change in the biggest way. I sort of want to scream, “We did it!” but we sort of did, sort of didn’t. Some people who know me in real life (or just in a deeper capacity online) know that it has taken a lot to get here, and that’s putting it lightly. You might remember that last year around this time I was recovering from an ectopic pregnancy, but there was more to the story than the results and aftereffects. I have been struggling with infertility actively for nearly two years, but we have unfortunately felt the effects of these issues our entire marriage…nearly eight years, as of this July. While I plan to share more about infertility and everything we’ve been through to get us to this incredible, unbelievable place in the future, right now I just want to revel in the fact that something finally worked, I am healthily 15+ weeks pregnant, and this is actually happening. At the same time, I have been hesitant to share this information because I am so afraid for the hurt it may cause others. 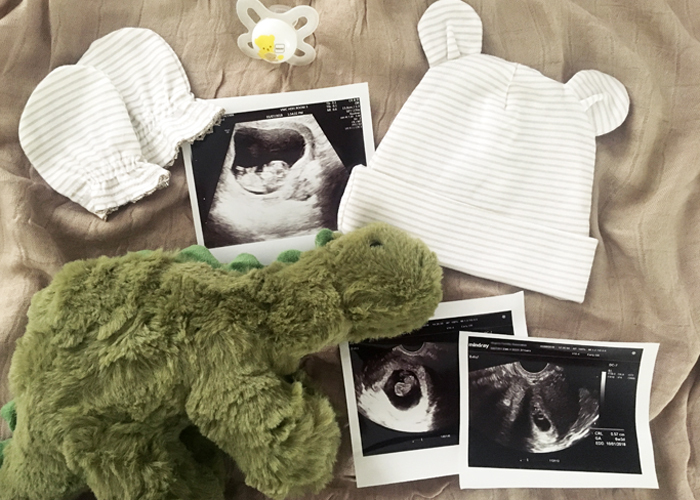 I know how hard it is to struggle through infertility and how painful it can be to come across yet another excited pregnancy post, whether it be an announcement, ultrasound photo, or weekly bump update pic. It is a very strange thing to see these posts from friends and family members and to feel so excited for them, but then to also feel the deep ache and reminder that you may never share a post like that yourself. It’s horrible to feel the loneliness, the pain, and then the guilt for those feelings all within seconds of these joyful moments that you want so badly to share in, but also just want to hide from your sight. Anyway, that’s why I’ve disappeared from my blog (besides book reviews) since January. I’ve also pretty much disappeared everywhere else online as well, because the first trimester was very…not fun, haha. Not that I want to come off as complaining after how grateful I am and how much I went through to get here, but it has been really rough. (Real talk: we can be grateful for what we’re going through and still really hate feeling horrible.) I was very sick and lived in my bed for the better part of two months, so picking up my laptop or leaving the house to do much of anything has been very far down on my list of things to do. I’ve been so grateful for Dan during this time as well…not only is he going to be a great father, but he has been the biggest help and supporter through all of this. I am so happy to be in my second trimester and feeling better every day! Thank God, for all of it! A few facts about Baby S: I’ll be 16 weeks (4 months) pregnant this coming Sunday. My due date is September 30th, so it could be a September baby, but if I go even one day late it’ll be sharing a birth-month with me! Baby is the size of an apple, which is appropriate right now because sour green apples have been my biggest craving. Also, we already know the gender, which I’ll share soon! I’m so excited to come back to this space and share more with you. OMG OMG OMG! This post made my whole week! I’m so beyond thrilled for you, especially because I know we first connected due to our ectopic pregnancies. I totally get what you’re saying about being hesitant to share. It took us over a year, plus an ectopic, to get pregnant this time. It’s not long to many, but felt like an eternity to us, and I remember all the tears for all the negative tests. I remember writing a little disclaimer on my blog post announcement acknowledging the still struggling moms. It’s hard because I remember feeling so jealous and upset myself whenever I saw an announcement. Anyway… I am so so happy for you. I know you’ve wanted this for a long time. You’ll be amazing. I’m due 9/16 so we’re exactly 2 weeks apart. How cool! I remember being so excited when you made your recent announcement and wanting to scream “ME TOO, ME TOO! !” but not being ready to share yet! It has been hard not to say something!! I love that we’re celebrating these victories at the same time after going through such a rough time, sort of at the same time again, last year. Emily!! What wonderful news! Congratulations!! I’m now officially crying. Moved on from tearing up to tears rolling down my face. Friends have struggled with infertility and I can’t begin to imagine. I love you for sharing your story and this made my entire day. Haha I’m so glad they are tears of happiness for me this time. You are the sweetest. I love that this made your day haha! Yay! Congrats and thank you for being vulnerable in sharing!! It has not been a fun few months that’s for sure, haha! The first trimester is so intense. I somehow managed to go to work, but I’d crash by 7 pm. I’m not sure how I’ll handle staying awake throughout the day if/when we have a second child. I can’t imagine being pregnant with an infant at all! I told Dan it will be a while before he can convince me to have baby #2 haha. I don’t know how people do it. I’ve been so grateful to be at home and able to say no to projects during this time. This made my morning. Congratulations friend!!! Smiling is my favorite. Soooooo many smiles over this post! That is so wonderful, congratulations!!!! I can’t imagine what you’ve had to go through to get here…I’m so happy for you, and will be keeping positive thoughts and prayers for this pregnancy! CONGRATS! I was also terribly sick my first trimester! And feel the weight of sharing my journey because I know so many others who want what I have but are still in the waiting process. It has been very hard for me to share my excitement and honestly my daily life without feeling like I am crushing other peoples emotions. I’m trying to share what the Lord is doing in my life but also be careful about how I word things or what I say. Anyways, I am rejoicing with YOU!!! Girl, I could have written that first trimester post you did FOR YOU! I hadn’t really told anyone I was pregnant yet at the time but as I read it I was like YES! I DO FEEL LIKE I’M DYING! Everything you wrote about your experience, like not being able to be in the kitchen and all, was exactly how I felt up until around week 16. I am SO relieved that is over! And thank you! It is hard because we (myself included now) want to be sensitive, but we also want to celebrate! Just remember that we can’t control the emotions of others and as long as we are genuine in our sharing and joy and not ignorant of the pains of others, we’re doing just fine. You recognize your blessings and that makes all the difference!